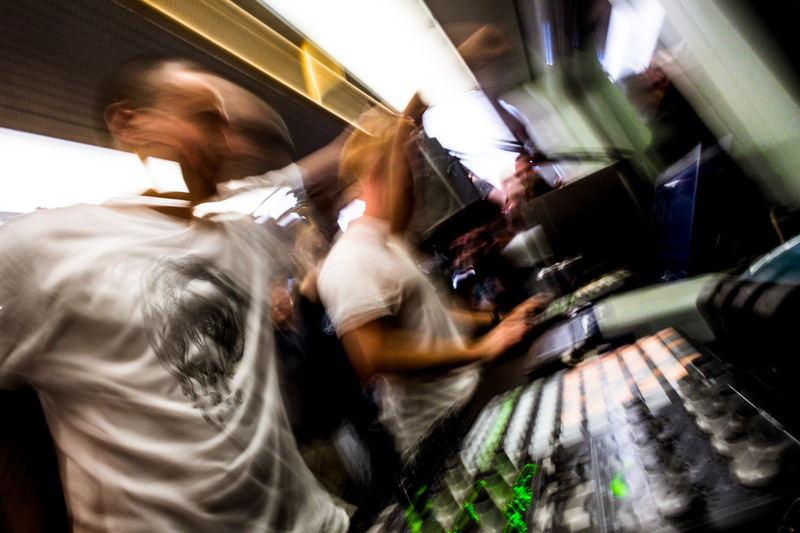 How to create a Rave on a Train: You take a Copenhagen Metro train. Then you load it with Funktion One speakers and lots of other lovely gear. Next you fill it to the max with festival punters, who dance, smile, drink and jump up and down threatening to make the train leave the tracks. 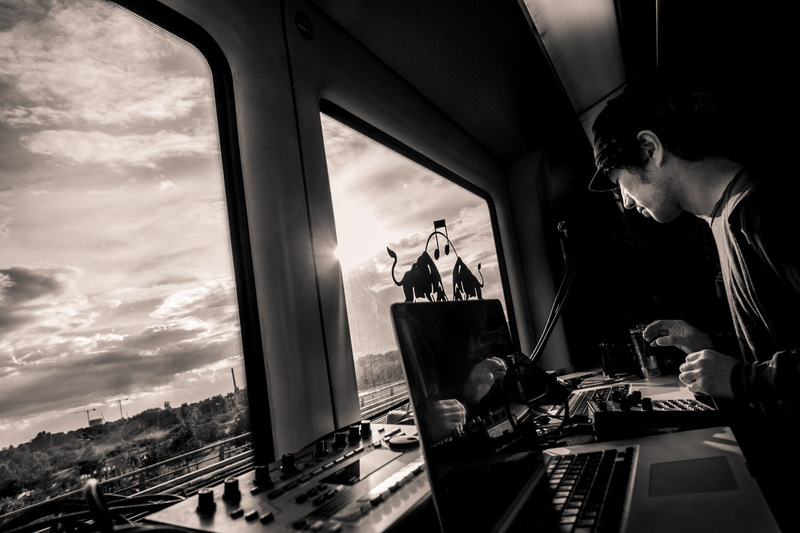 Most importantly of all: You have electronic musicians perform live while the train runs. 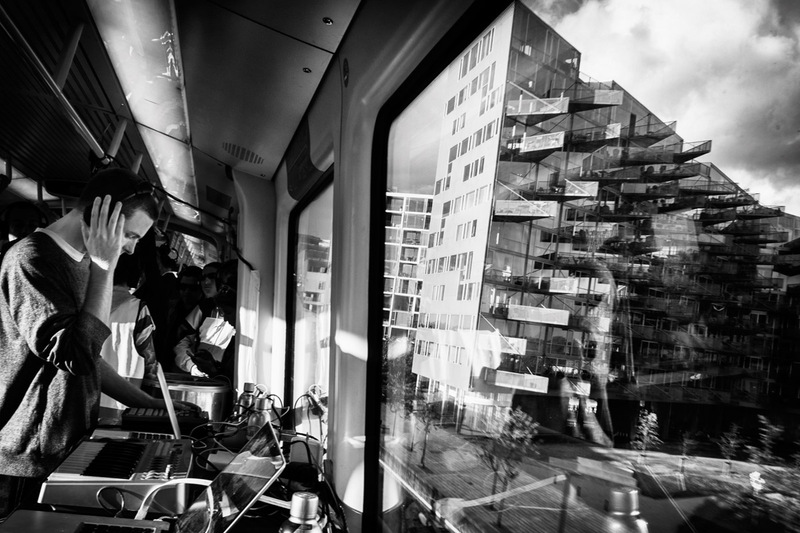 The end result is Trans Metro Express, a classic event in the Strøm festival in Copenhagen. 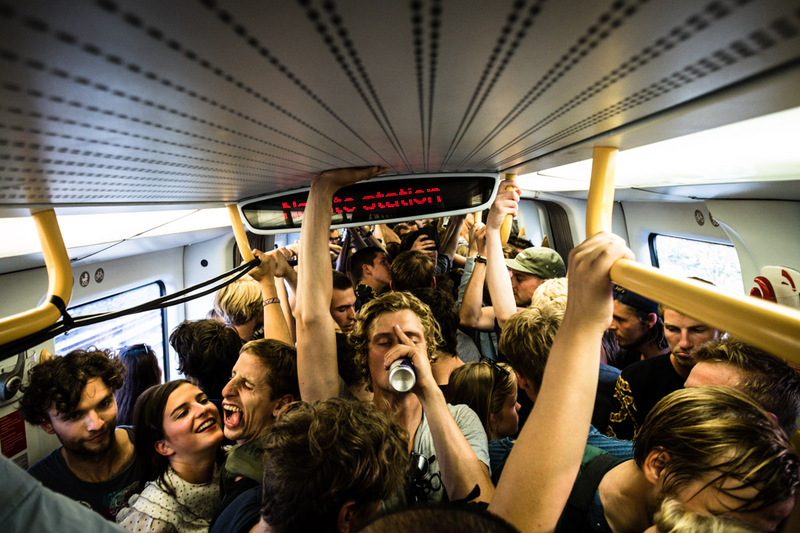 Trans Metro Express ran for it’s 6th time this year during Strøm festival in August 2014, a remarkable feat. There is really nothing quite like it. 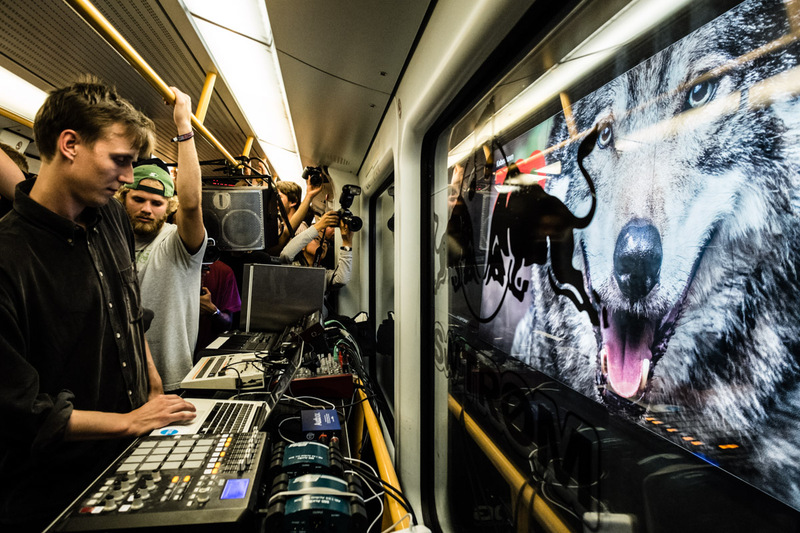 A metro train transformed into a music venue. The music performed is composed and performed by the musicians to match the ever changing surroundings. Staring out the windows we pass big modern structures of glass and metal, go through tunnels, stop at stations while listening to a loud soundtrack tailored to our journey – sometimes slow, chill and dreamy, sometimes banging. At times the crowd will be jumping so much it feels like the train will leave the tracks. 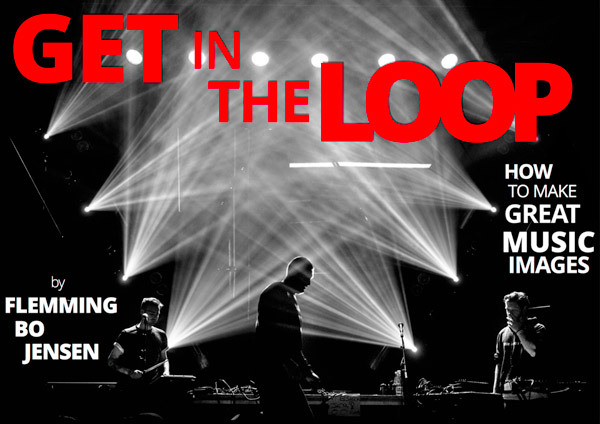 The train makes two trips back and forth on the present Copenhagen Metro lines which gives 4 different musicians a change to soundtrack one of the legs of the journey. The event usually lasts 2-3 hours as stops at stations are much longer than normal – people literally spill out the doors when they open and it takes time to get everyone inside again. The train runs normal service, which lends itself to amusing scenes at the stations when the train stops and people on the platform encounter a pumping jumping raving train! Trans Metro Express is open for everyone, a normal Metro ticket is all that’s required. I have not come across any event in the world like this. It is a unique blend of magic, movement, music, claustrophobia, overheating and fun! At the best of times, Trans Metro Express creates a holistic experience where the setting, the music, the movement, the atmosphere and the view of the city all come together. I have photographed Trans Metro Express 3 years in a row for the festival. It seems the events gets more popular and more packed every year! It is almost impossible to move around after takeoff so it helps to have done it before, know where I want to shoot from and hold that ground for a while till I get my shot. Then try to move during stops at stations – usually involves jumping out of the train, running to the next door and trying to squeeze in! Having small cameras like my Fujis are a great help. Also, stay frosty, you never know when something awesome such as the wolf in the first picture pops up. Fortunately when that wolf ad appeared on the wall of the tunnel at Nørrebro station I was standing right in my favourite spot (like Sheldon would say, that’s my spot! ).